Merced Regional Airport (MacReady Field) (IATA: MCE, ICAO: KMCE, FAA LID: MCE) is two miles southwest of Merced, in Merced County, California. It is used for general aviation and sees one airline, subsidized by the Essential Air Service program. The airport had 2,000 passenger boardings (enplanements) in 2015, a decrease of 0.89% from 2014. The National Plan of Integrated Airport Systems for 2017–2021 categorized it as a general aviation airport (the commercial service category requires 2,500 enplanements per year). On March 15, 1932 the Merced City Council accepted title to the site of an airport as a gift from the Twenty-Thirty Club and the Crocker-Huffman Company. The airport, an airstrip and 66 acres (0.27 km2) of land 3 miles (4.8 km) northwest of the city near the intersection of U.S. Route 99 and California State Route 59, was dedicated on April 3, 1932. The airport site was leased to George Voight for a term of five years, and a subsidiary airline of the Stinson Aircraft Company started Merced's first scheduled airline service. In May 1936 the City of Merced assumed responsibility for the airport; constructing buildings, hangars, and other improvements; expanding the site to 123 acres (0.50 km2). In 1940 as the U.S. Army was trying to establish a 30,000 per year basic pilot training facility in the Merced area, Merced Municipal Airport was deemed unsuitable for a major training facility due to lack of room. The United States Department of War would ultimately select an area 2 miles (3.2 km) northeast of Atwater, now the site of Castle Airport, for its Air Corps Basic Flying School. That year, land the Merced Regional Airport now occupies in southwest Merced near Childs Avenue was acquired from delinquent tax rolls. The city council approved the first phase of construction of a new airport shortly after the acquisition. This new city owned airport would be known as "New Merced Municipal Airport". In 1941 construction delays at the Air Corps Basic Flying School site forced the Army to lease the original Merced Municipal Airport, resulting in the first aircraft assigned to the Air Corps Basic Flying School being stored at Merced Municipal Airport and giving the Basic Flying School its first usable axillary field. After the United States entered World War II, the Civil Aeronautics Authority assumed responsibility for the final phase of construction of the New Merced Municipal Airport. By 1942 the new airport and its two runways; 6/24 and 12/30 each 4000' by 150', was completed by the United States Army Corps of Engineers working under the CAA. In 1943 New Merced Municipal Airport was leased to the U.S. Army Air Force, becoming the sixth axillary field for Merced Army Airfield (present day Castle Airport). Under the lease, the airport's name was changed to "New Merced Municipal Airport Auxiliary Field". The lease was terminated immediately after the war, and the airport was returned to civil control. In the fall of 1945, the City of Merced sold the original Merced Municipal Airport site near Santa Fe Drive to the Chamber of Commerce for $7,500, leaving New Merced Municipal Airport (near Childs Ave) as the city's primary airport. In 1946 United Airlines built offices and a terminal building and began one Douglas DC-3 flight each way a day. That year damage incurred during the Army Air Force's use of the site was repaired, and more improvements were made using federal funds. In 1948 Merced Municipal Airport was annexed to the City of Merced. During the 1950s the airport was used to service United States Armed Forces aircraft, and a land acquisition in February 1955 allowed runway 12/30 to be extended. In 1967 runway 6/24 and its parallel taxiway were closed, and in 1975 a control tower was built. United's DC-3s were replaced by Convair 340s, then Douglas DC-6s, then Boeing 737-200s in 1968-69. United flights to Merced ended in 1979. On March 6, 2009 the city council voted to change the name from Merced Municipal Airport to Merced Regional Airport. Between 1957 and 2007 Merced Regional Airport hosted the annual Merced West Coast Antique Fly-In. Each year the fly-in drew hundreds of pilots from across the western United States to Merced to display their rare and antique aircraft. The fly-in featured an air show and an antique car show. In 2007, the 50th annual fly-in drew nearly 400 planes and several stunt pilots. Since 2008 the Merced West Coast Antique Fly-In has been canceled due to lack of sponsors and volunteers. Merced Regional Airport covers 766 acres (310 ha) at an elevation of 155 feet (47 m). Its one asphalt runway, 12/30, is 5,914 by 150 feet (1,803 x 46 m). In the year ending December 31, 2015 the airport had 58,650 aircraft operations, average 161 per day: 93% general aviation, 6% airline and less than 1% military. 61 aircraft were then based at this airport: 89% single-engine, 8% multi-engine, and two helicoper. The airport is an uncontrolled airport that has no control tower. Merced Regional Airport is a base for Medi-Flight Northern California, an air ambulance service provided by Mercy Air, a subsidiary of Air Methods. Medi-Flight shuttles patients between Mercy Medical Center Merced and nearby trauma centers, as well as responding directly to medical emergencies. Bus connections to Yosemite National Park are available on the Yosemite Area Regional Transportation System (YARTS). Boutique Air announced that it would begin flights to Los Angeles International Airport and Oakland International Airport on October 5, 2015. An order served by the United States Department of Transportation on May 20, 2016 determined that Merced Regional Airport had failed to meet certain eligibility criteria during Fiscal Year 2015 and, thus, no longer eligible for the Essential Air Service (EAS) program. A tentative waiver from the EAS requirements for Fiscal Year 2015 was granted on August 29, 2016. Effective November 1, 2016, the Essential Air Service program grants Boutique Air an annual contract subsidy rate of $2,991,546 for service between Merced and LAX/OAK for a two year period ending on July 31, 2017. Carriers are compensated only for completed flights and for certain cancellations due to weather, reviewed on a case-by-case basis. The airport was formerly served by Air Pacific, American Eagle, Golden Gate Airlines, United Airlines, United Express, US Airways Express, Inland Empire Airlines and Great Lakes Airlines. United Airlines had Boeing 737-200s direct to Los Angeles and San Francisco, the airport's only scheduled passenger jets. 1973, The Merced Terminal appears in the beginning of Mannix season 7, episode 3 (series #149), "Climb a Deadly Mountain"; however Mannix's (light twin) flight is described as departing from Burbank airport. ^ a b c d FAA Airport Master Record for MCE (Form 5010 PDF). Federal Aviation Administration. Effective January 5, 2017. ^ "National Plan of Integrated Airport Systems (NPIAS) Report 2017-2021" (PDF, 3.48 MB) (Appendix A: List of NPIAS Airports with 5-Year Forecast Activity and Development Cost ed.). Federal Aviation Administration. September 30, 2016. Retrieved December 25, 2016. ^ a b c d e f "History". Merced Regional Airport. ^ a b c d e f "New Merced Municipal Airport Auxiliary Field". California State Military Museum. ^ "Merced Regional Airport Quarterly Newsletter". CityOfMerced.org. March 2009. ^ "Air Methods Corporation Expands Its Subsidiary, Mercy Air Service, Into Central California" (Press release). Air Methods Corporation. February 25, 2005. Archived from the original on October 25, 2010. ^ "Air carrier to begin flights from Merced". Merced Sun Star. September 29, 2015. Retrieved September 30, 2015. ^ "2016-5-17 Order Tentatively Terminating Essential Air Service Eligibility and Tentatively Granting a Waiver for Communities That Experienced a Service Hiatus". DOT-OST-1998-3521-0201. United States Department of Transportation. Retrieved 25 December 2016. ^ "2016-8-21 Final Order Terminating Eligibility, Granting Waivers for Certain Communities, and Establishing Waiver Procedures". DOT-OST-1998-3521-0204. United States Department of Transportation. Retrieved 25 December 2016. ^ "Subsidized EAS report for non-Alaska communities-Nov 2016 PDF" (PDF). United States Department of Transportation. Retrieved 25 December 2016. ^ "Merced, CA: Merced Regional/Macready Field (MCE)". Bureau of Transportation Statistics (BTS), Research and Innovative Technology Administration (RITA), U.S. Department of Transportation. December 2013. Retrieved February 24, 2017. ^ "Passenger Boarding (Enplanement) and All-Cargo Data for U.S. Airports Airports". Federal Aviation Administration. Retrieved December 25, 2016. 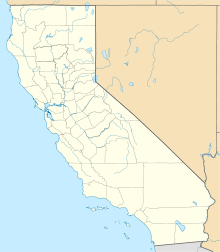 Order 2004-3-6 (March 9, 2004): re-selecting Eagle Canyon Airlines, Inc., d/b/a Scenic Airlines, to provide essential air service at Merced, California, at an annual subsidy rate of $645,751, for the two-year April 1, 2004, through March 31, 2006. Order 2006-3-28 (March 28, 2006): selecting Scenic Airlines to provide essential air service (EAS) with 19-passenger Beechcraft 1900 aircraft at Merced, California, for two years beginning April 1, 2006. The annual subsidy rate will be set at $696,788. Order 2006-8-29 (August 30, 2006): selecting Mesa Air Group Inc. d/b/a Air Midwest to provide subsidized essential air service (EAS) at Merced and Visalia, California, and Ely, Nevada, for two years, beginning when the carrier inaugurates service. Merced and Visalia will receive 23 weekly round trips to Las Vegas, operated on a Las Vegas - Merced - Visalia - Las Vegas or Las Vegas - Visalia - Merced - Las Vegas routing at an annual subsidy rate of $1,599,207. Ely will receive 6 nonstop round trips each week to Salt Lake City at an annual subsidy rate of $647,709. Air Midwest will operate as America West Express/US Airways Express and serve each community with 19-passenger Beech 1900-D aircraft. Order 2008-6-26 (June 19, 2008): selecting Great Lakes Aviation, Ltd. to provide subsidized essential air service (EAS) at Merced and Visalia, California, and Ely, Nevada, for the two-year period beginning when the carrier inaugurates full EAS pursuant to this Order, at an annual subsidy of $4,900,401 with 19-seat Beech 1900D turboprop aircraft. Order 2010-9-13 (September 9, 2010): re-selecting Great Lakes Aviation, Ltd., to provide subsidized essential air service (EAS) with 19-passenger Beechcraft-B-1900D aircraft at Merced and Visalia, California, and Ely, Nevada, for the two-year period from October 1, 2010, through September 31, 2012. The annual subsidy rates will be set at $1,961,174, $1,746,507, and $1,752,067 for Merced, Visalia and Ely, respectively, for a combined total of $5,459,748. Order 2012-9-9 (September 10, 2012): re-selecting Great Lakes Aviation, Ltd., to provide subsidized Essential Air Service (EAS) with 19-passenger Beechcraft B-1900D aircraft at Merced and Visalia, California, for the two-year period from October 1, 2012, through September 31, 2014. The annual subsidy rates will be set at $1,698,878 and $1,697,929, for Merced and Visalia, respectively, for a combined total of $3,396,807. Order 2014-4-26 (April 24, 2014): directing interested persons to show cause as to why the Department should not terminate the eligibility ... under the Essential Air Service (EAS) program based on criteria passed by Congress in the FAA Modernization and Reform Act of 2012 (Public Law No. 112-95). We find that Merced is within 175 miles of a large or medium hub, Mineta San Jose International Airport (SJC), a medium hub, and, thus, is subject to the 10-enplanement statutory criterion. We also find that during fiscal year 2013, Merced generated a total of 4,810 passengers (inbound plus outbound). Consistent with the methodology described above, that results in an average of 7.7 enplanements per day, below the 10-enplanement statutory criterion necessary to remain eligible in the EAS program.